The capital of India is as magnanimous as the country. The city has been an important political centre, since the medieval period. All the monarchs that ruled the land have left their mark on the city. The city has been shaped up by both, its historic experience and modern manoeuvres. Delhi has many religious centres, places of historic interests and shopping points. The street food of Delhi is not to be missed. Delhi is well connected by air, roads and trains. By Air: Delhi has both an international and domestic airport with many flights coming in the city every hour. 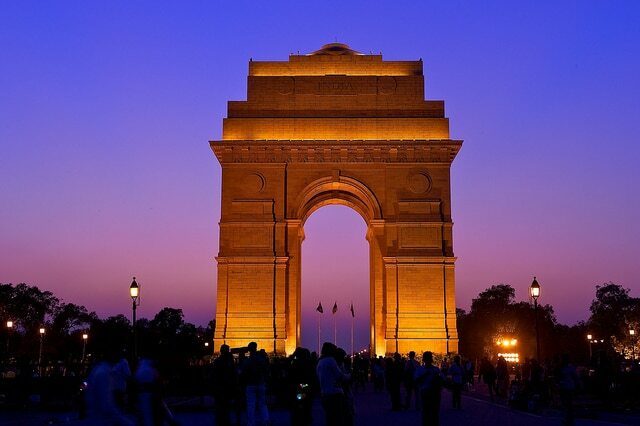 By Road: Delhi is the part of the Golden Quadrilateral and thus an integral part of the National highway network. By Train: Delhi has one of the busiest stations in the country in terms of passenger and train movements. The NCR region has many stations with trains coming from all parts of the country. Tourists would be advised to avoid the summer season. During summers, the temperatures in Delhi soar high making it unpleasant to stay outside for prolonged periods of time. The tourists could also make a note of the many fests and events that are going on in the city, throughout the year. 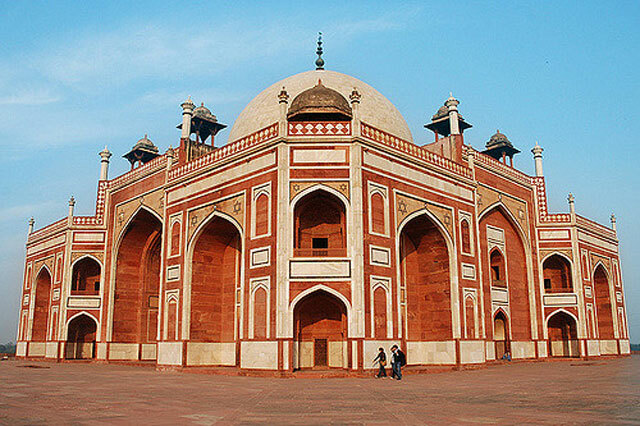 Delhi has many monuments built from the time of the Delhi Sultanate and later. Monuments commissioned by the rulers are breathtaking. Some of the important ones in the list are; Jama Masjid, Red Fort, Qutab Minar, Mehrauli Archeological Park, Humayun’s Tomb, Safdarjung’s tombs, Raj Ghat, India Gate, Lodhi Gardens, Jantar Mantar. Delhi street food is an important part of any trip to the city. A visit to Chandani Chowk is mandatory in that sense. The famed Parantha wali Gali with its many kiosks is a must visit. The Mughlai food of Karim at Jama Masjid is simply exquisite. In Delhi, there is high-end shopping with all big brands in all the major malls in the city. Contrasting that would be the street shopping in areas like Sarojini Nagar and Lajpat. The city has many centres of piety. Some of them being; Nizamuddin Dargah, ISKCON temple, Birla Mandir, Lotus Temple, St. James Church and the Aurobindo Ashram. The city is infamous for its traffic jams thus getting around the city may pose a problem. Tourists might find it convenient to familiarise themselves with the metro lines. The metro is easy to use and the fastest modes of commuting in the city. The tourists would be advised to download the Delhi Metro Rail app on their phones, that would give them information on all metro stations and routes. The app is really user-friendly and would help the sightseers commute. If you are in the city for a longer period of time, you could also have a metro pass made rather than standing in the token queue every time. There is also the HOHO bus service that is a tourist air conditioned bus that runs around the city, visiting all places of interest. People planning a trip to Delhi might find it fruitful to take another day out to visit the cities near Delhi and make it a four-day excursion. The cities that can be visited are Jaipur and Agra. A visit to the capital would be a weekend filled with activity and fun.